Following are the some options (supported and unsupported) in implement filer in CRM 4.0 entity form for any lookup fields. If you looking for truly global solution which is embedded in CRM for this then this would be best fit answer for this requirement. Please check out full details at their website. This option requires you to do some entity changes and also put relevant java script code in CRM on load event. Let’s understand this with one example, Case Form got account and contact look up. When ever user select particular account then while looking up contact only contacts record that belongs to selected account should get displayed, (i.e. contacts look up filtered based on account selected). Above screen print displays base code for this, before using relevant field name should get changed and then put in relevant CRM Form On Load Event. 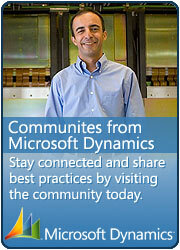 This entry was posted in CRM 4.0 and tagged CRM 4.0, Filteredlookup on May 2, 2010 by mayankp. you have to replace this character with it’s ASCII or HTML code and then pass this..